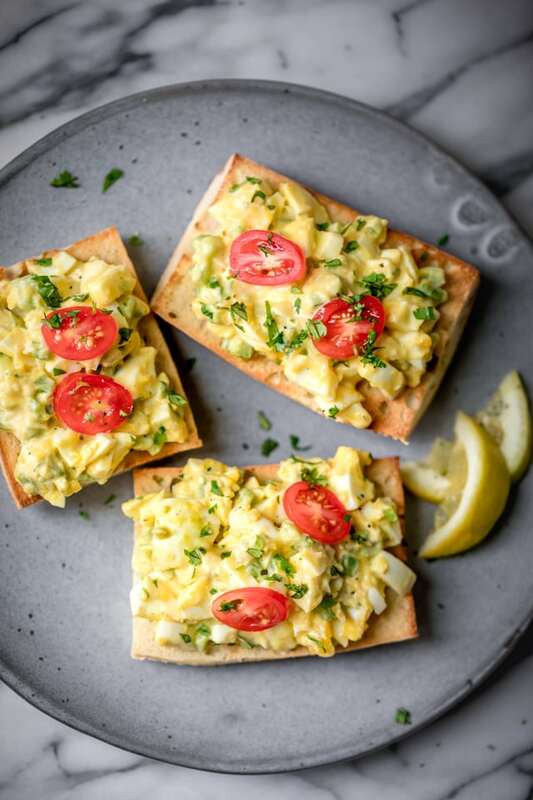 My recipe for Healthy Egg Salad is perfect for lunches. I make it healthier by replacing the mayo with greek yogurt. It's fast, full of flavor and filling! I love sandwiches for lunch. But here’s the problem. If you don’t eat cold cuts (which I prefer not to eat due to their high level of sodium, fat and preservative contents), it could really limit the sandwich options. That’s why I’m constantly trying to create new sandwich recipes that anyone can easily whip up and take to school or work. 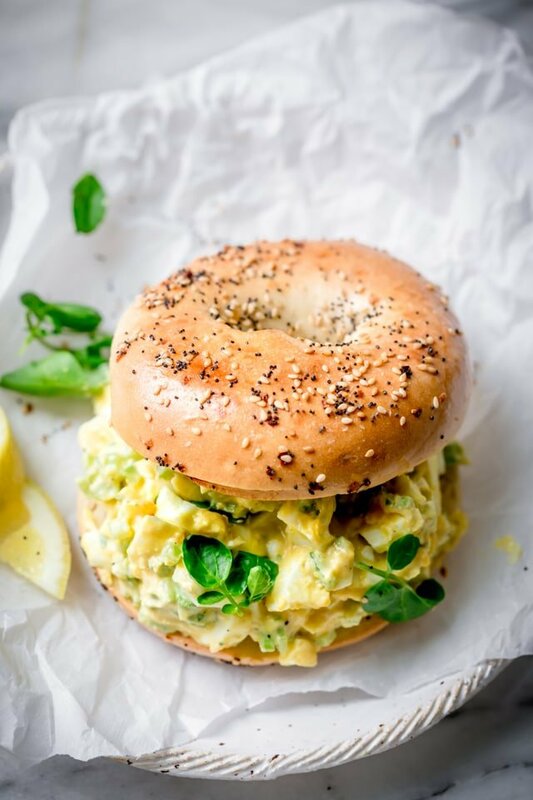 I made the Avocado Chicken Salad, Healthy Tuna Salad, and now this Healthy Egg Salad, which you can slap on a bagel, baguette, lettuce cup or even on top of a salad! 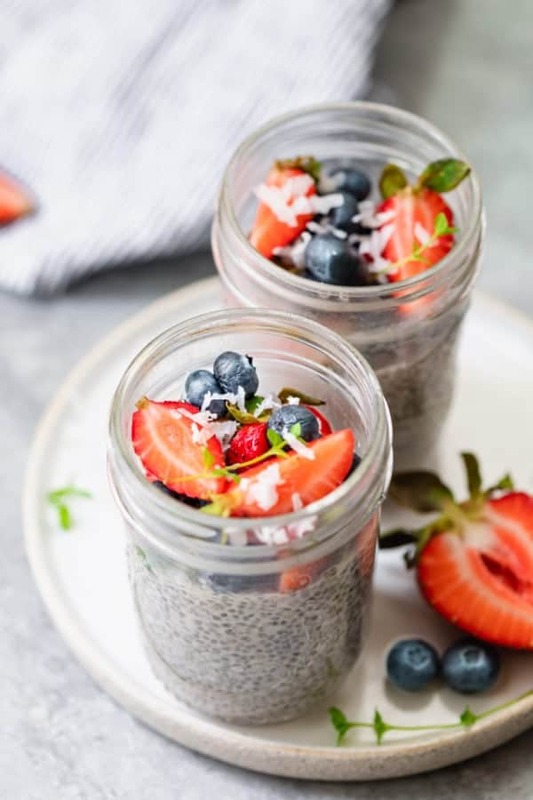 Swapping the mayonnaise for greek yogurt – it has lower calories, lower fat and higher protein making it very diet friendly. Plus it’s pretty creamy so it creates a rich consistency that we all know (and love!) about egg salad. Using lemon zest in the dressing – the peel of lemons has pectin, which is often cited to promote weight loss. Plus it gives it such a bright and refreshing taste! 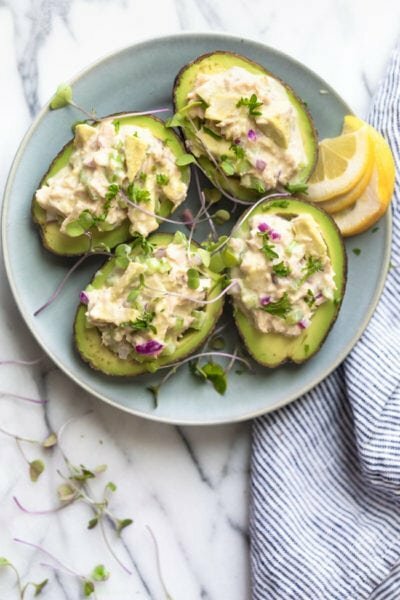 Offering four different healthy ways to enjoy it – two of the ways are low-carb (without bread), which makes it perfect for those on a keto (ketogenic) diet. 1. Cook the eggs however you’d like. Option a) is to cook on a stovetop for 6 minutes after boiling. Option b) is to cook in your Instant Pot by placing the eggs on a trivet, adding 1 cup of water and selecting Pressure Cook for 5 minutes, then vent immediately. Option c) is to bake in the oven for 25 minutes at 325°. With all options, it’s important to immerse the eggs in a bath of ice water immediately afterwards to stop the cooking. Then peel and chop the eggs. 2. Im a medium bowl, mix the dressing. 3. Throw in the celery and parsley afterwards and slightly toss. 4. Now it’s time to fold in the chopped eggs. 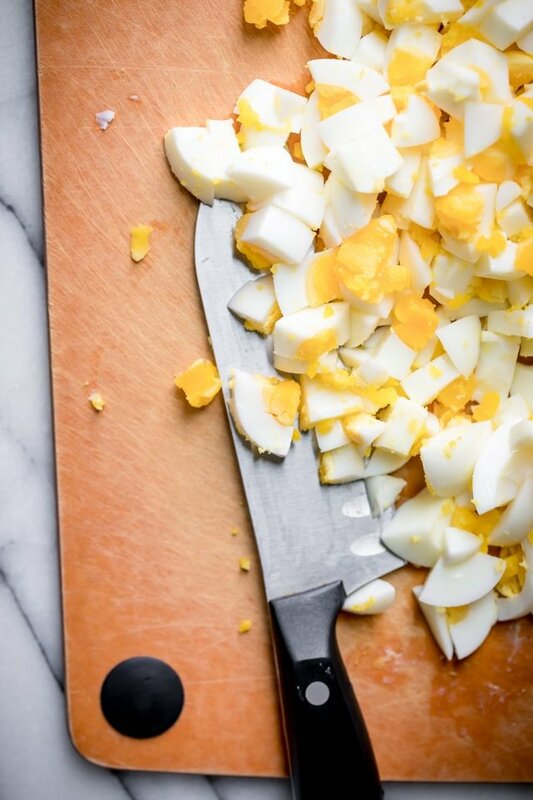 That’s all it takes to make this easy peasy Healthy Egg Salad. 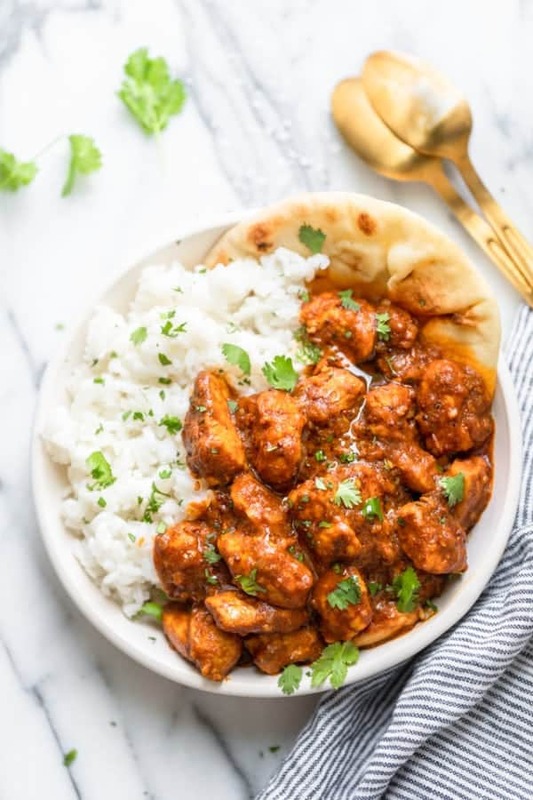 It’s full of flavor, very fast to make and super filling with all that protein! And now you can enjoy it any way you’d like! Like in an everything bagel. This is everything! Or in a lettuce cup. This one’s for you keto and low-carb friends. Or how about just in a salad?! 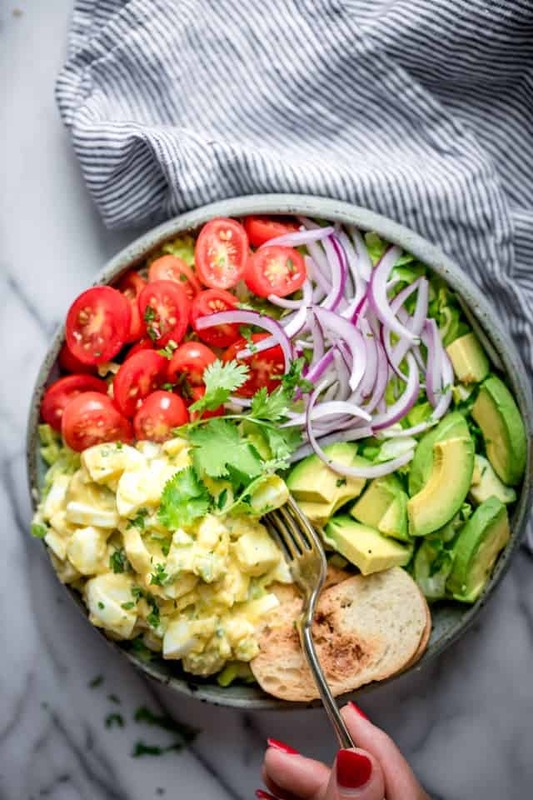 A Healthy Egg Salad “Salad.” Gotta love that! I know I’m not the only one who needs more healthy lunch ideas. 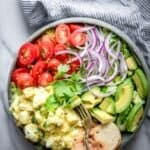 I hope you try this feelgood Healthy Egg Salad. 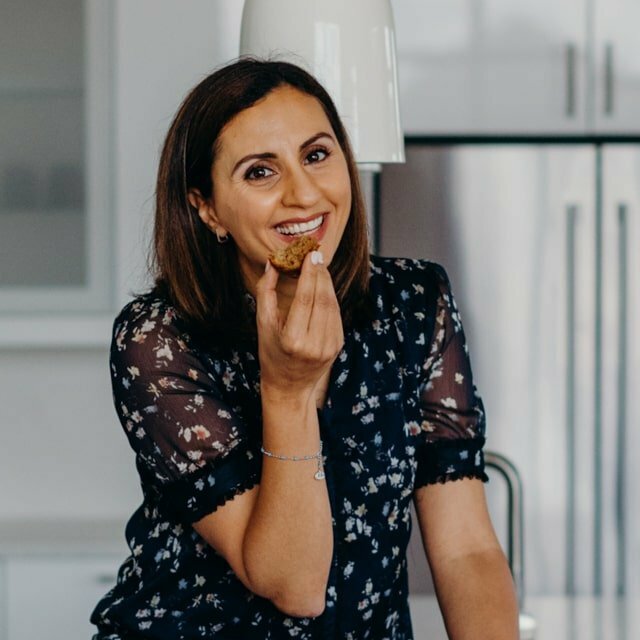 If you make it, please leave me a comment below telling me how you and your kiddos like them, or use hashtag #feelgoodfoodie on Instagram so I can see (and regram!) your recreations. Cook the eggs on a stovetop for 6 minutes after boiling. 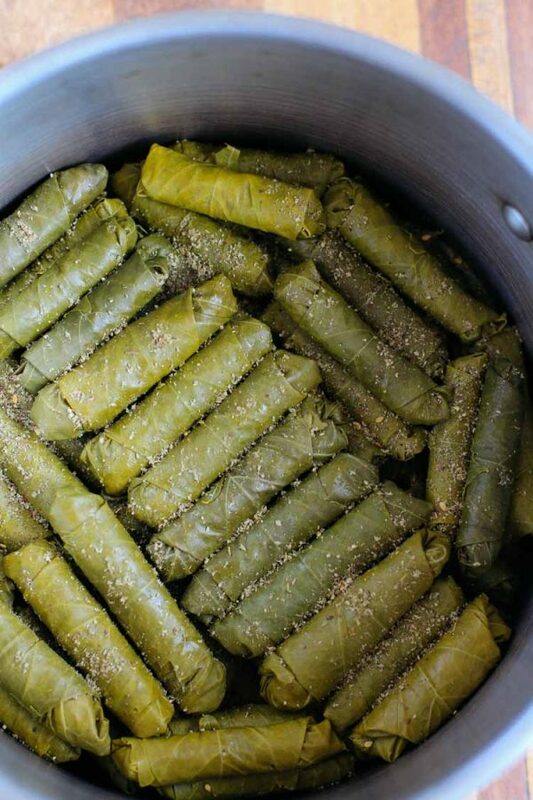 Alternatively you can use the oven method or the Instant Pot method. Peel the eggs and roughly chop; set aside. 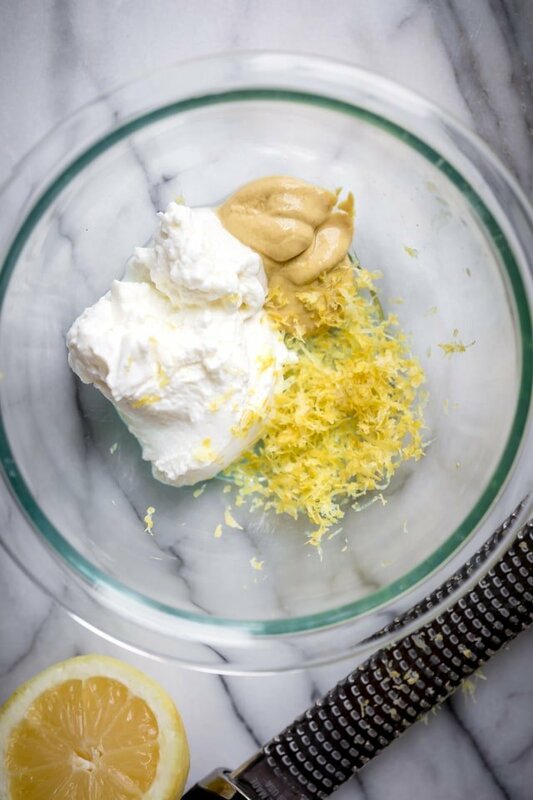 In a large bowl, whisk together the Greek yogurt, dijon mustard, lemon zest, salt and pepper. Add the chopped celery and parsley, and stir to combine. Place the chopped eggs into the bowl and stir again to combine with the dressing. 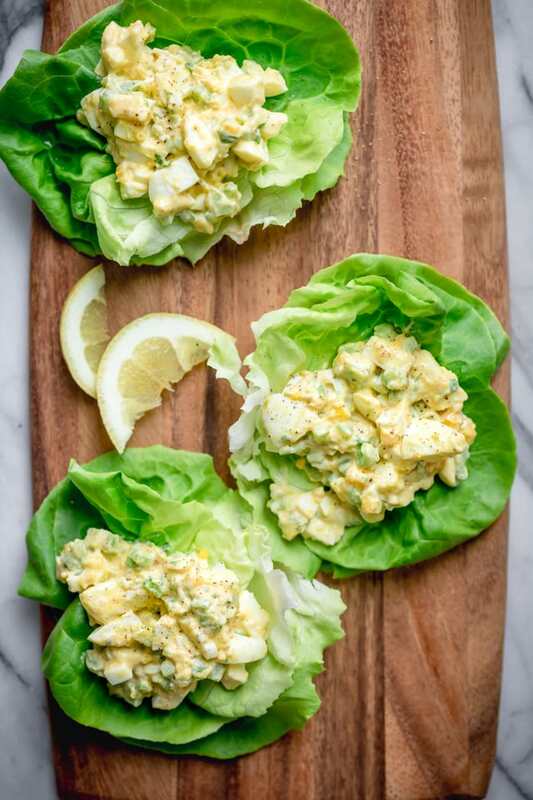 Serve the egg salad in a sandwich, lettuce cups, salad or even as a dip. Insta Pot Instructions: To boil the eggs in an Insta Pot, add 1 cup of water, placing eggs on a trivet and pressing Pressure Cook for 5 minutes, then vent right away and place in cold water. 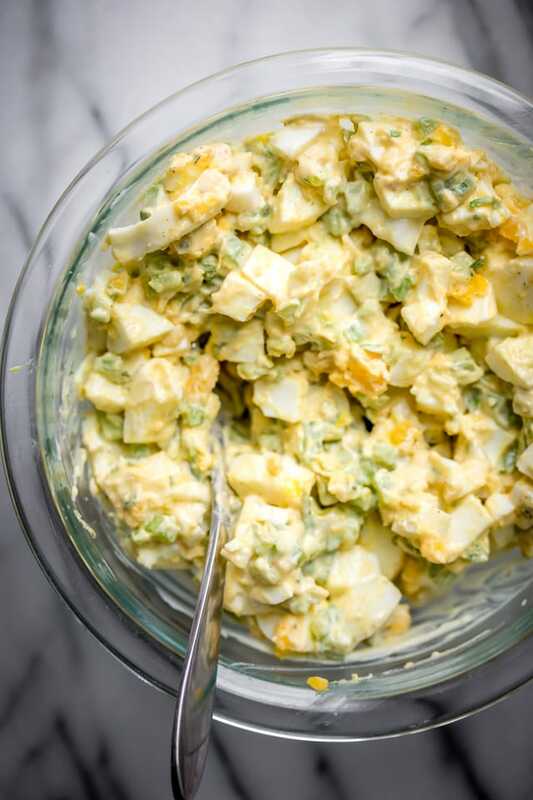 Store any leftover healthy egg salad in a airtight container in the fridge for up to 3 days. For best results, stir before serving. 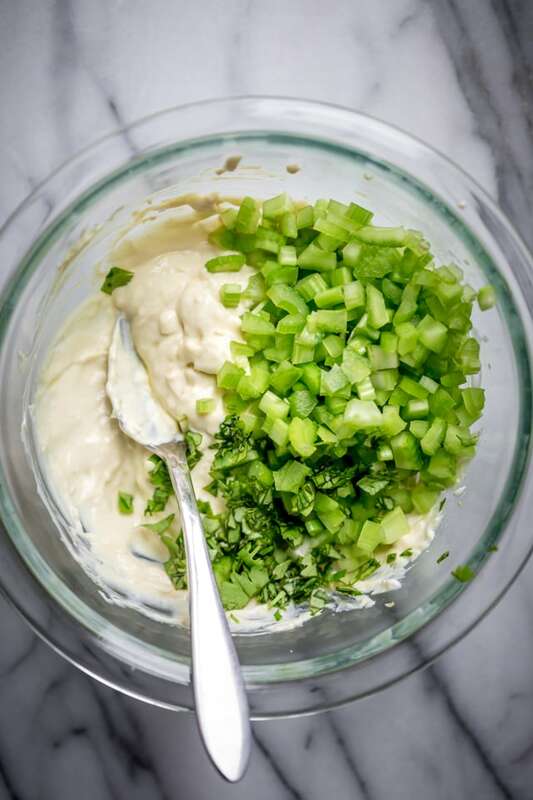 Love the addition of lemon zest to the dressing, and the celery to the mix.